From 12th to the 16th September, The Kennel Club will be holding Puppy Awareness Week (PAW) 2016. As an Assured Breeder I would like to give potential puppy owners vital information about the most responsible way to find and buy a puppy. A recent survey conducted by the Kennel Club has shown that we have a puppy welfare crisis on our hands. 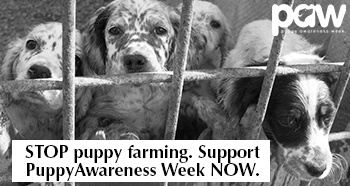 1 in 4 source their puppies on internet sites, on social media, in pet shops or through free ads in newspapers - all sources that can be used by puppy farmers. 16 percent of pups are bought in pet shops, often used by puppy farmers, and one in five go on to develop the potentially deadly parvovirus. 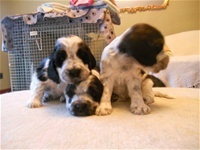 One third of puppy buyers reported not seeing their puppy with its mum and half not seeing its breeding environment. A further 65 percent do not see the relevant health test certificates for the puppy’s parents.